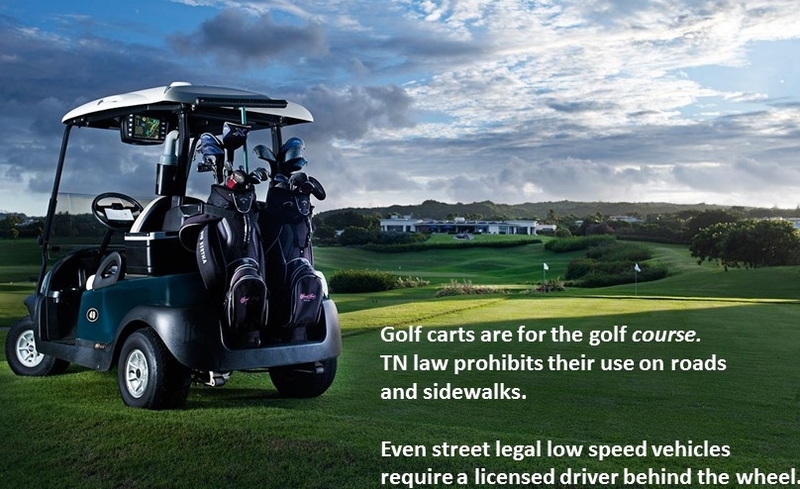 Now that summer break has started, Franklin Police want to remind citizens that operating a golf cart on Tennessee public ways is illegal. Area residents have reported seeing an increase in the number of unlicensed, teen drivers traveling through subdivisions on golf carts and low speed vehicles. In response to those complaints, Franklin Police want to remind the public of the law, and the Police Department’s responsibility to enforce it. Anyone caught operating a golf cart on a public way, except to cross at a 90 degree angle, will be cited.